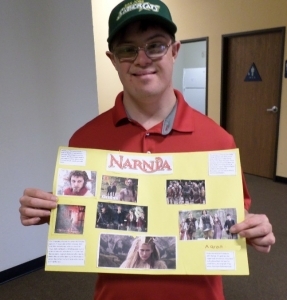 Our Advanced Placement Program started in October 2014. 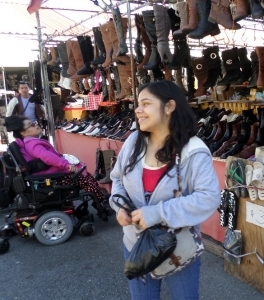 Clients in this group are social, funny, and goal-oriented. 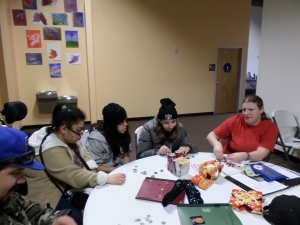 We follow the Fab Five structure, especially focusing on vocational and community access skills. 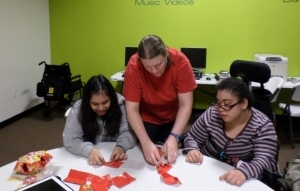 Karelia and Veronica get some help to make Chinese lanterns. 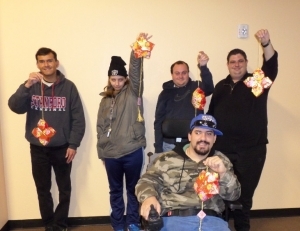 APP shows off the awesome Chinese New Year lantern decorations they made out of red money envelopes. 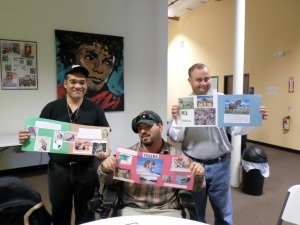 Freddy, Antone, and Chris researched animals and gave presentations about what they learned. 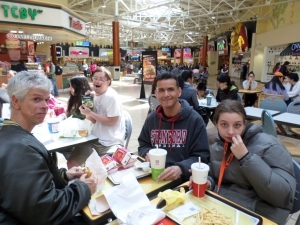 APP enjoying lunch at the Great Mall. 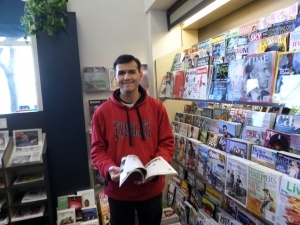 Jose spent some time looking at magazines at a book store in downtown Mountain View. 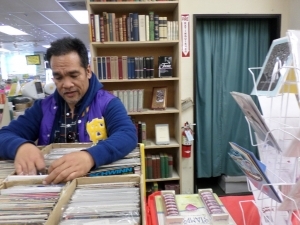 Freddy looks through comic books at a used book store. 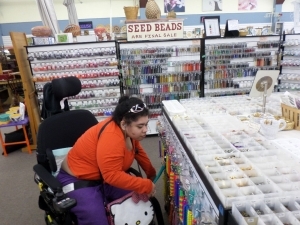 Veronica really liked the bead store! 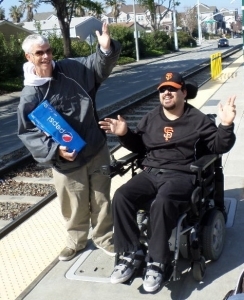 The group returns from Downtown Mountain View on the Light Rail. 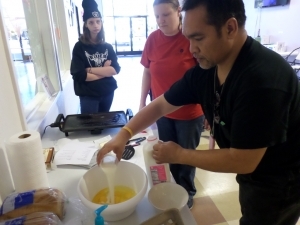 Freddy adds milk while Jerilynn and Marie watch during an APP French toast cooking class. Ready to eat some French toast! 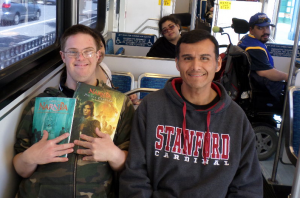 Jose and Chris cut up vegetables for their bean dip. 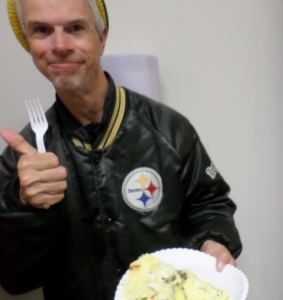 Chris gives a thumbs up for the omelet he made. 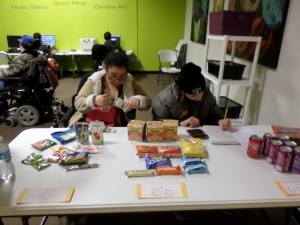 Veronica and Jerilynn sell snacks at AHSV. 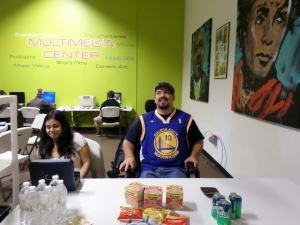 The APP group counts Snack Shack profits. 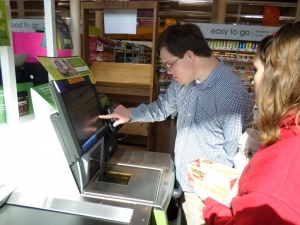 Aaron gets assistance from staff in operating a self-checkout machine. Karelia and Antone run the Snack Shack.